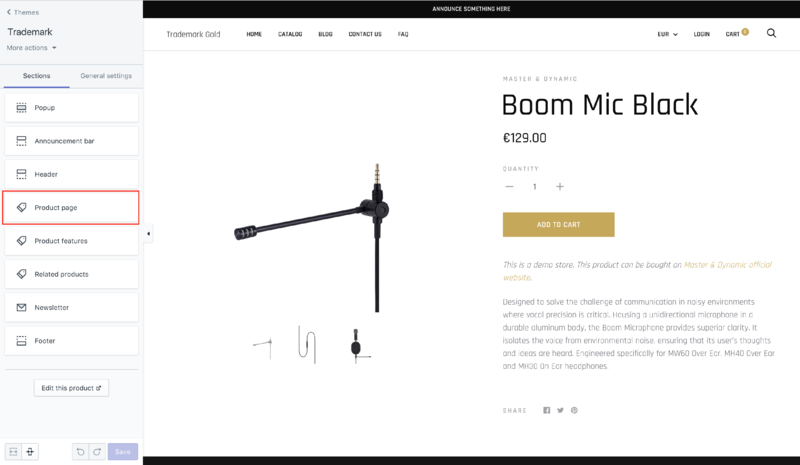 It is often useful to add more information in your product page, in addition to the product's description. 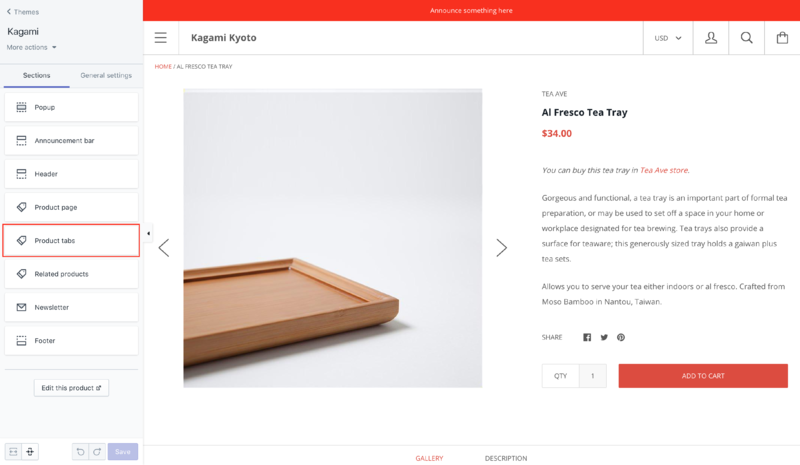 To that extent, our themes offer a feature called "global tabs". 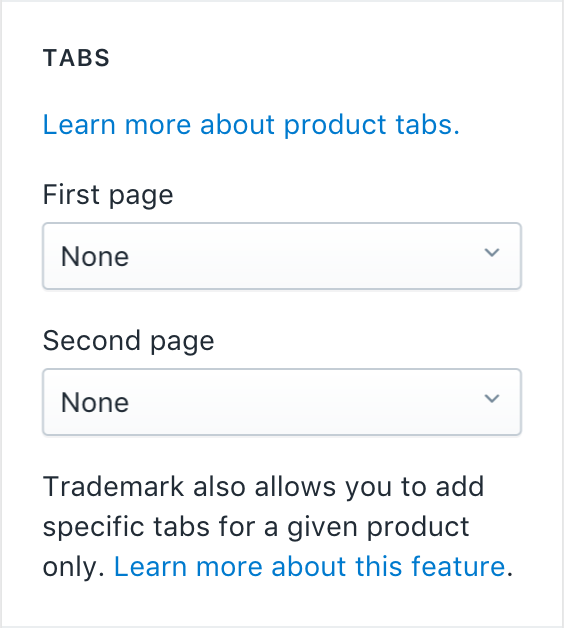 Global tabs are tabs that are added to all your products. Those are useful to add global information such as shipping conditions, returns conditions, or any other information that is common to all your products. 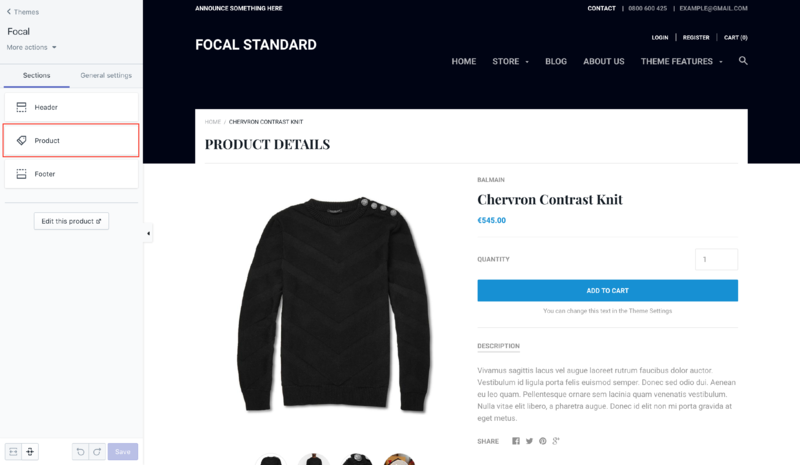 Create a page in your Shopify store. 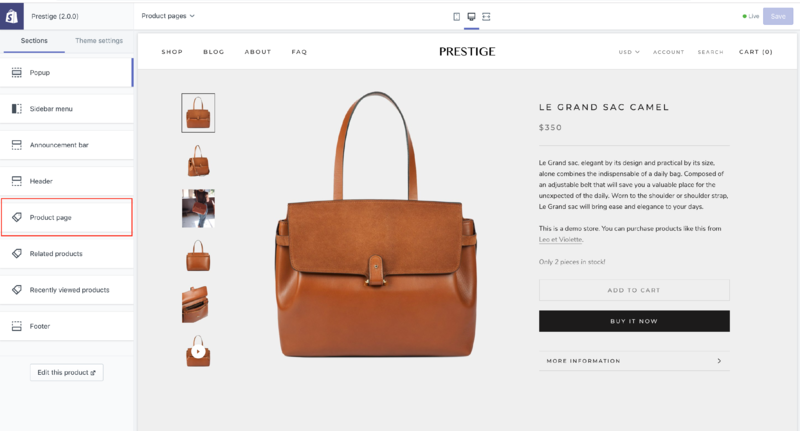 The page will hold the content of your tab. To create a page, click on the "Pages" section in Shopify admin, or click directly here if you are already logged. 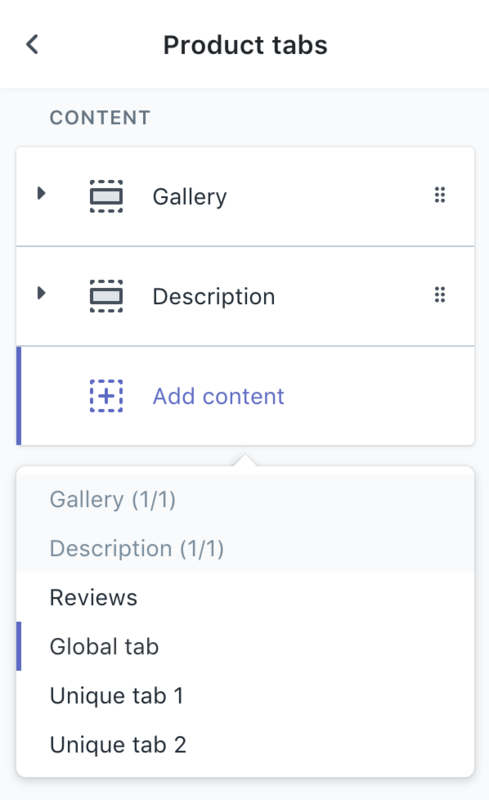 Open the theme editor, and navigate to a product page while being in the theme editor (you can choose any product). 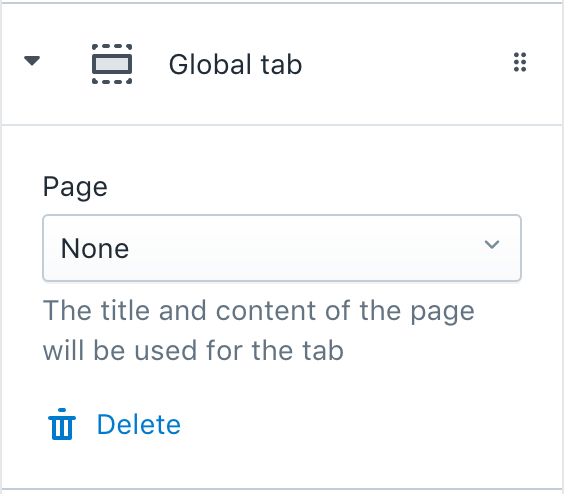 Configure the theme by attaching the page to a global tab. Instructions slightly differ based on the theme.